I've been in a rut lately, a makeup rut. I rarely bother with makeup on days I go to work and on days I don't I'm usually out and about having fun which leaves little time to play around with new styles in the morning. Its fair to say I got boring. I was wearing the same eyeshadow and the same lipstick in the same way I always had and I was getting a bit fed up about it. I follow some amazing bloggers who manage to create hugely different makeup looks every single day of the week. I don't know how they have the time/ patience to perfect it every single day but they do, and it looks like they have so much fun playing around with it all too. I wanted a piece of that. 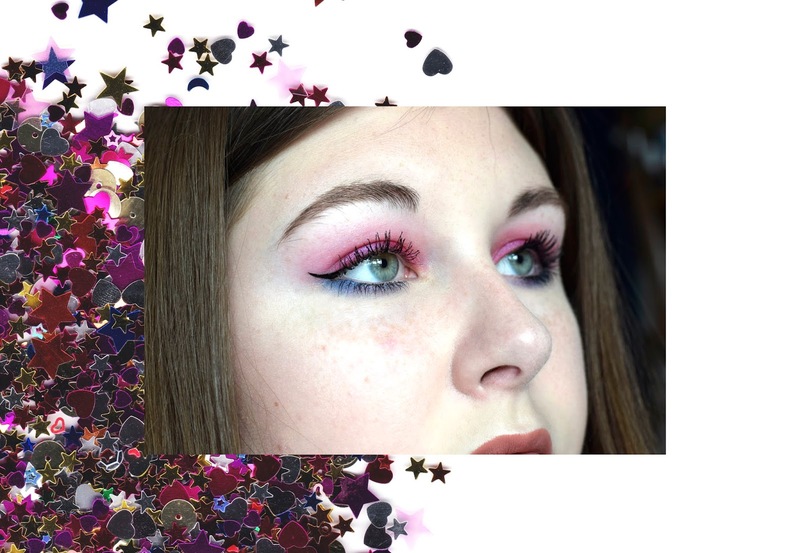 I wanted to experiment with colours and feel like a completely different girl every day. I missed using makeup to express myself. I've always been a big fan of art and to me makeup is an art. I'm not particularly good at it applying it, and I've only ever worn fake eyelashes once in my life but that doesn't matter. All that matters is that you have fun with what you are doing. I'd forgotten how much I enjoyed messing around with new colours and techniques. I'd forgotten that makeup was a way to show my personality. I'd been using makeup to make myself feel pretty and whilst thats not necessarily a bad thing, I started to rely on my mascara's and foundation's a bit too much. Even as a teenager I didn't have bad skin. I never felt the need to smother my face in foundation before I left the house, I never really bothered with eyeshadow or liner, and I definitely didn't know what contouring was. I wore makeup as and when I wanted to. But lately I've felt that I kind of need all of that to feel beautiful. I needed to cover my skin and coat my lids in glitter or else I was ugly. I'd not really felt like that before and I think its quite a dangerous mindset to get used to. I needed to remember what makeup was about for me. I wanted to be inspired again, I wanted to take myself back to the time when makeup was just for fun and not a necessity. Luckily it wasn't very long before I found my inspiration. Once I'd started looking it was everywhere, from Instagram, to magazines, and huge billboards around my city, there were ideas in every place I looked. One of the major places I gathered my motivation from was my friend Amanda, her Instagram is constantly brimming with unreal new makeup looks. I'd be confronted by an amazing new 'face of the day' look almost every time I scrolled through my feed and to be honest thats when I really started to feel boring. She was doing some incredible things with colours I'd never dare to use and styles that were far from typical, but she looked amazing and she was clearly having a good time. After a few weeks of watching everyone else try out wild new makeup looks I decided enough was enough. I challenged myself to start using colour. I needed to play around with some new eyeshadows that weren't my usual light sparkly shades. I needed to try something new and so eventually this look was born. 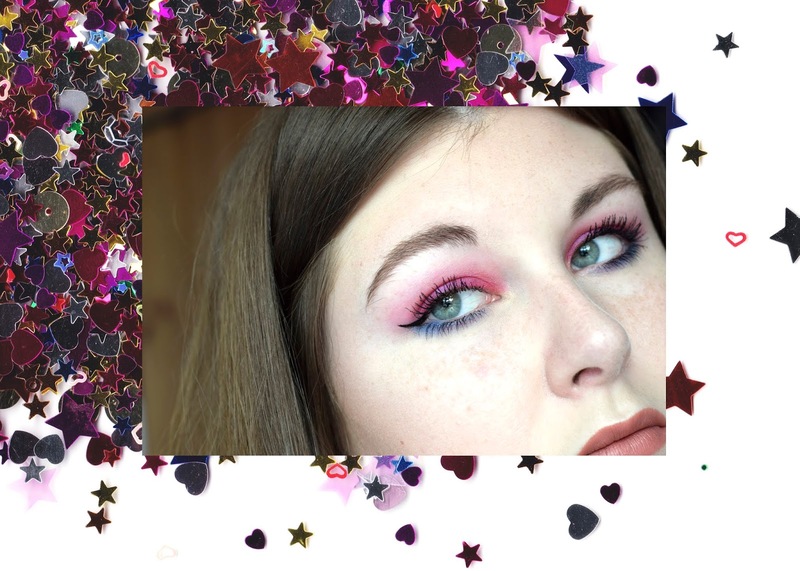 Its not a hundred miles away from my every day makeup, the style is basically the same but the colours I have chosen for this look are something I would usually run from! They are so bright and dramatic, and together they even clash a little bit. They are everything that scares me about pretty makeup. But it's not meant to be pretty or flattering, it's meant to be a bit of fun! 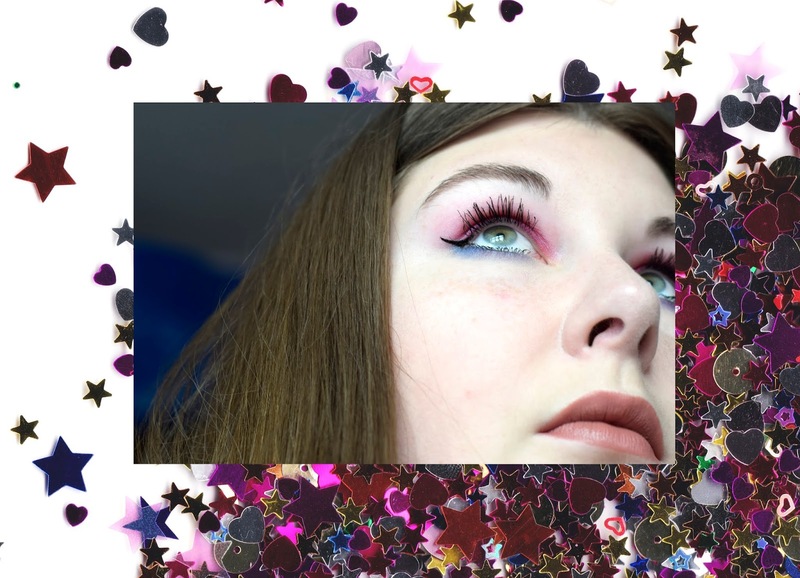 Its not the best makeup look I've ever created and if I'm honest I was too scared to wear it out of the house because the colours really are just so bright, but its the start of my new outlook on makeup. I had a lot of fun playing around with this look and I'm determined to try new things more often. Makeup isn't just about looking pretty, at least it shouldn't be, and I need to remember that.